Good evening, dear friends! I am back with another awesome recipe that I wanted so much to share with you! We love making truffles at home! 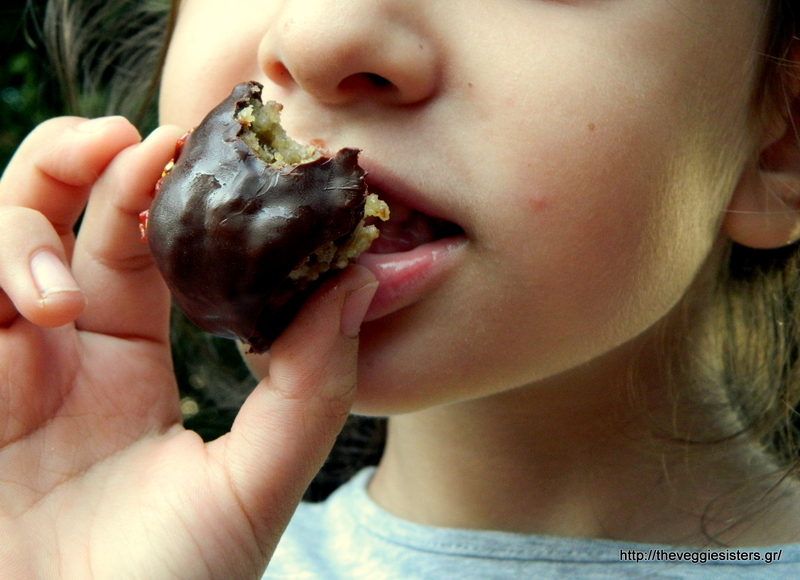 They are so yummy and you can play with the ingredients and make a healthy snack for those times that you desperately need something sweet! My daughter asked me to make her a new recipe a few days ago and as I opened my pantry I came up with a quinoa jar. So I decided to use it in a sweet recipe. What an idea! 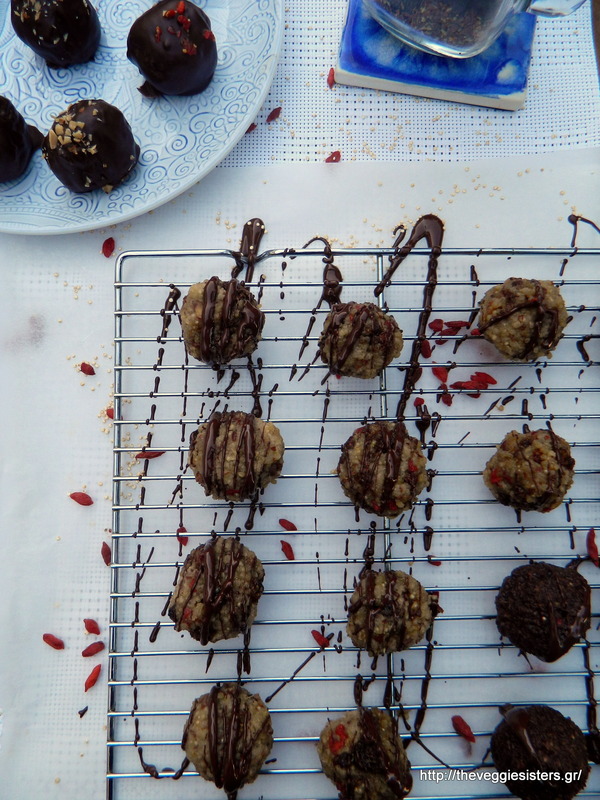 Truffles with quinoa and other nutritious goodies! I just love how versatile quinoa is! They turned out amazing and my daughter just loved them! You should try them too! Cook quinoa according to package instructions. In a blender pulse raisins, goji berries, almonds and flaxseeds. Mix them with the cooked quinoa and then add the tahini. Stir to combine. Shape nbatter into truffles. Dip each truffle in melted chocolate and lay them on a baking tray lined with parchment paper. This is optional. You can eat them without coating or you could just top them with chocolate or pour half of the melted chocolate in the batter. The choice is yours! Garnish with ground almonds or goji berries. Enjoy! 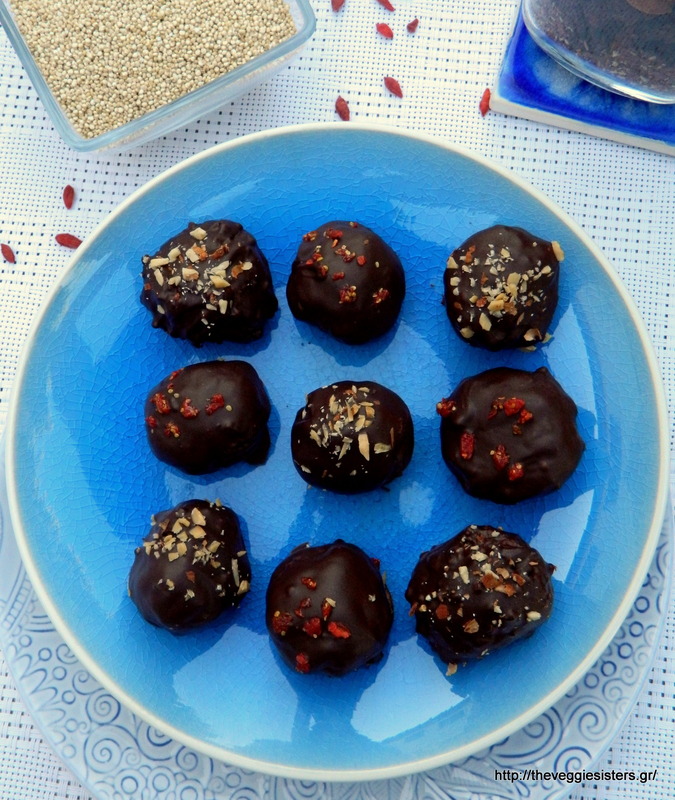 Share the post "Chocolate quinoa truffles"